Set against the backdrop of the Apennine Mountains, the Italian city of Florence serves as the capital of the region of Tuscany. Famed for the birth of Renaissance with its majestic architecture and artistry, this city was once one of the wealthiest in Europe. Today, the city’s historic centre is a World Heritage Site, attracting millions of tourists annually. 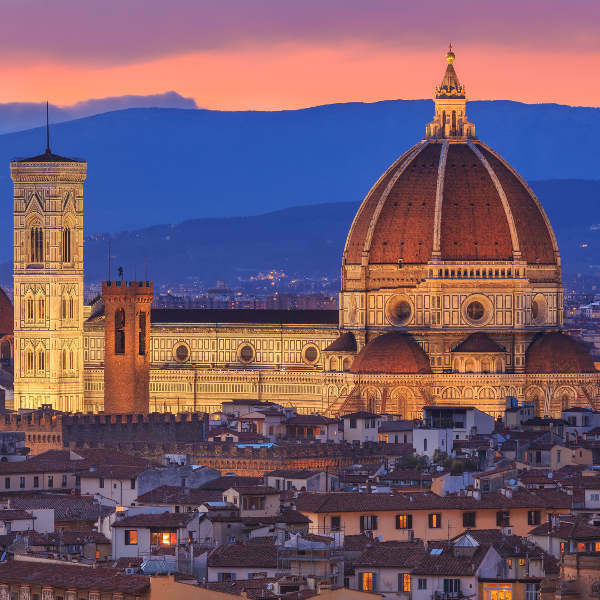 Cheap flights to Florence are now available for a limited time only, so book your flight today and prepare to be swept up by the magnificent architecture and culinary delights this city has to offer! Florence is home to Florence International Airport (FLR), a 20-minute drive from the city centre. This historic city features a plethora of art galleries, museums and cathedrals, boasting complex designs and impressive structures. The medieval and Renaissance-styled buildings dominate the city in their splendour and stature. Indulge your culinary curiosity by joining a cooking class. 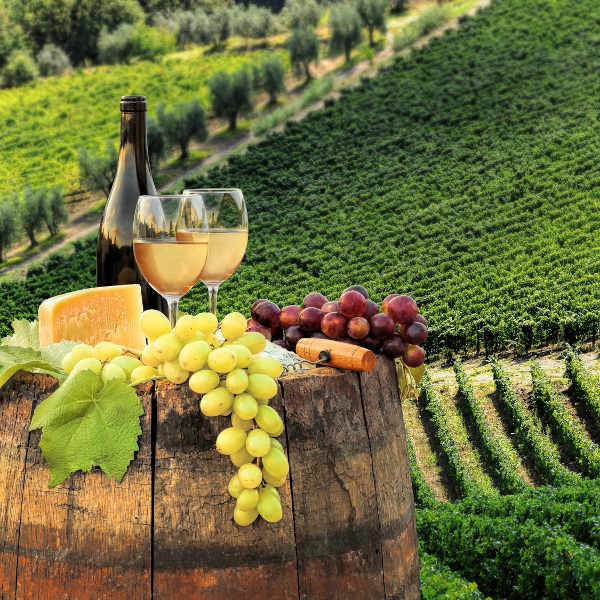 Sample the local cheeses and Tuscan wines in the Chianti countryside, or simply feast on local specialities at the street markets. Known as the ‘cradle of Renaissance’, history lovers will be treated to a myriad of spectacular sites around the city, including Palazzo Vecchio, the Duomo and the famous statue of Michelangelo - the perfect sunset spot! Florence experiences a phenomenal summer season, occurring between June and August. The summer attracts throngs of tourists filling the city with a lively buzz and there are many wonderful music concerts, festivals and art shows to be seen. The Florence Music Festival is not to be missed, while the Vendemmia wine harvest in October will delight foodies and wine connoisseurs. To avoid the crowds and enjoy slightly cooler weather, go in May or September where the seasonal changes create a pretty atmosphere around town. Bear in mind that July and August are the hottest months of the year with the city shutting down during August, making tours and activities nearly impossible. If the glossy ski slopes set your heart pumping, go between December and January to experience an Italian winter wonderland! Florence (or Firenze in Italian) is the jewel of Renaissance Italy, and is unparalleled in its wealth of important historical artwork, sculpture and architecture. The likes of Michelangelo, Leonardo, Brunelleschi, Alberti and Giotto are just the tip of the iceberg of great artists who have left their mark on this great city. Brunelleschi’s Santa Maria del Fiore Cathedral, along with the famed Dome of Florence is not to be missed. 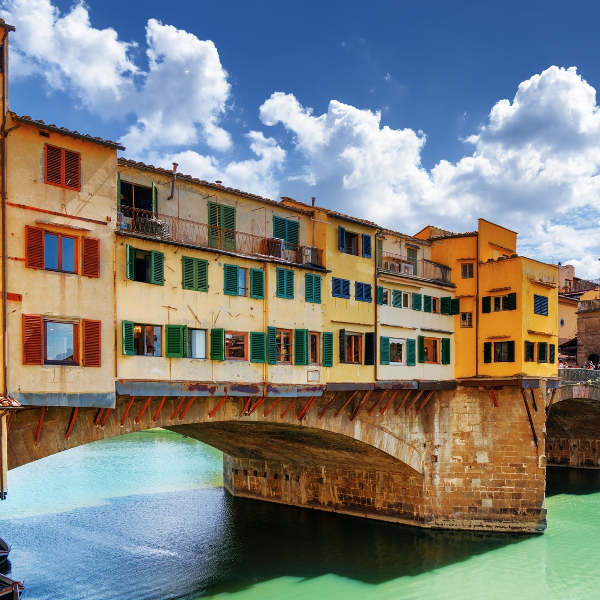 The Ponte Vecchio, the oldest bridge surviving WW2, is a testament to the Medici family, and a great place to pick out a sparklingly souvenir. Palazzo Vecchio houses a replica of Michelangelo’s David and displays a collection of important Renaissance sculptures and paintings, while Santa Croce holds the tombs of many of the great artists, philosophers and politicians of the time. While history, art and architecture are the soul of Florence; music, food and wine are its beating heart. When you’ve worked up an appetite, do visit some of Florence’s delightful restaurants and cafés, where the Florentine gelato is out of this world. With typical Italian passion, Florence seduces all five senses, capturing the imagination of visitors from all corners of the globe. Compare several airlines, and book your cheap flights to Florence online at Travelstart! Like most of Italy, Florence is exceptionally safe with hardly any violent crimes occurring. As with unfamiliar city, be aware of your surroundings and remain vigilant of your belongings. Be cautious of people trying to ‘help’ you, especially at train stations, as they may be trying to get money from you or use this as a distraction to pick-pocket. The city centre is perfectly safe to walk at night, and you’ll find many trendy cafés and bars staying open till the morning hours.